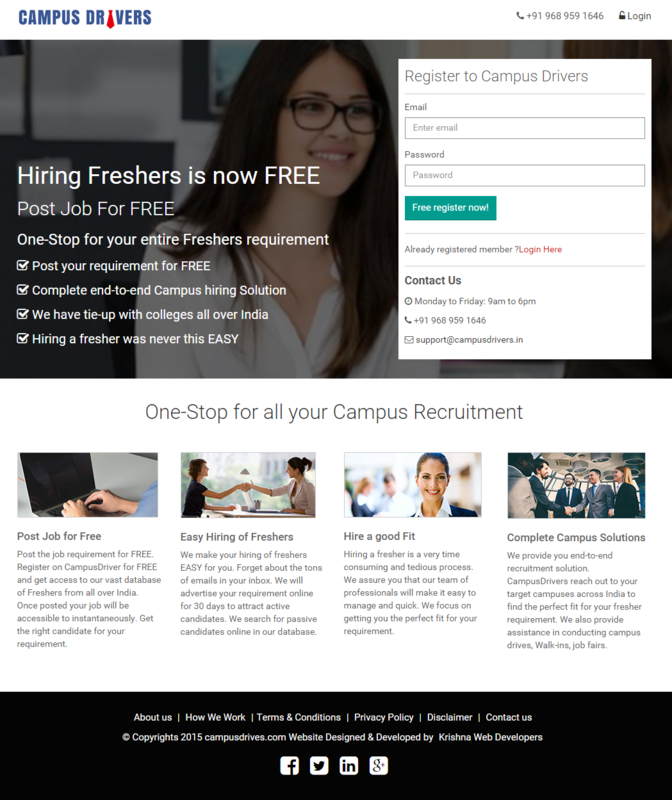 Campus Drivers is an online Job portal. Here candidates and employers register for hiring. It is very neat and clean and easy to go. website specially design from candidates point of view. On home page itself candidate will get quick overview of recent jobs or he can search using our advance search function through keywords or by using cities. Candidates have to register and have to pay using our online payment gateway option. There is SMS gateway which sends SMS to confirm and send notifications to candidates. For employers there is admin panel, through which employers can post their job requirement very easily. For employers one more feature is added that is complete campus solutions, it means we are providing online campus exams for candidates, this features will help employers to find the perfect fit. Campus Drivers is a complete Job portal with all advance features and Online payment gateway, SMS gateway. Campus Drivers is a unique platform that provides relevant job opportunities for fresh college graduates and assists them in finding their aspired debut jobs.Their Objective is to create a firm bonding between colleges and companies to accomplish their objectives in terms of Hiring / Placing FRESH COLLEGE GRADUATES.